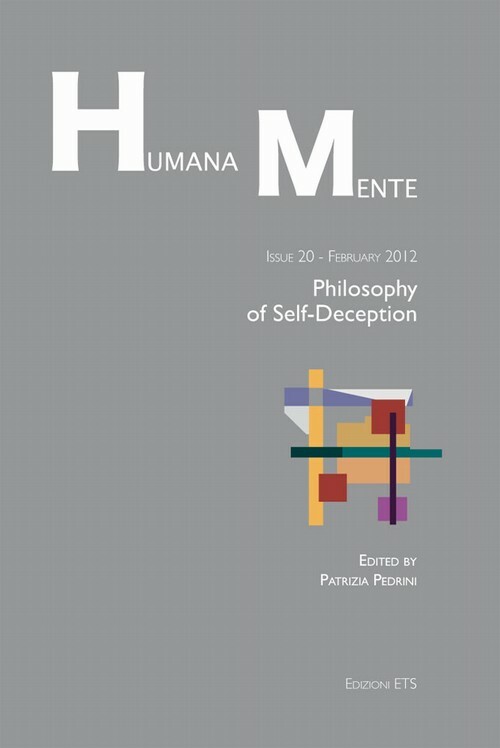 The phenomenon of self-deception is one of those topics that, perhaps more than others, is capable of intriguing and fascinating those who decide to devote to it a part of their studies and research. It is also a topic that, once encountered and reflected upon, does not leave us the same as before, in our relationships either with ourselves or with others. This can happen because we get in touch with the psychological event, which is pervasive and complex, and which we feel may have been crucial, for better or for worse, or at least insidious, at many junctures of our own existence. We sense that perhaps many decisions we made - maybe even more than we would be willing to acknowledge - have been made upon one variety or the other of self-deception - that is, upon beliefs that are false, that we additionally may, at times, have the sense that are false, and yet are strongly, sometimes even irresistibly wanted, or desired. Its disconcerting hallmark lies in the fact that we somehow seem to come to believe a proposition that we should at least doubt is likely to be true, and that we seem to do that because of a strong motivation to acquire that false belief. That is why self-deception is included among the so-called _motivated irrationality_ phenomena, to which other phenomena also belong, e.g., wishful thinking, cases of precipitate believing under the influence of strong emotions, and so on. It is thus easy to get caught up in the attempt to analyse it as to the best of our ability, so as to have a coherent description of it, and also a convincing explanation as to why human beings embark on it at all. It is also tempting to believe that, if we can come up with such a description, and such an explanation, we might perhaps be better equipped to identify its occurrence in ourselves and others, and so, possibly, also try to overcome it. This may be the hope we might want to ascribe to those who believe that self-deception is not a good thing. Other people, however, consider self-deception bliss, by virtue of its allegedly evolutionary, or simply individual, advantages. Although it was notably described by Donald Davidson1, in the early days of the debate, as an intentional attempt at deceiving oneself, in the hope, among other things, of distinguishing it from other, non-intentional forms of motivated irrationality, many people subscribed later on to the anti-intentional view of self-deception promoted by Al Mele (2001), now also referred to as _motivationalism_, as Mele replaces the explanatory hypothesis of an intention to deceive oneself with a more palatable, paradox-free explanatory account in which a motivational state, mainly a desire, triggers self-deception and explains it convincingly. After Mele's seminal work, the debate has flourished greatly, and many other related, and vital questions, the way to which was fully paved by Mele's research and the subsequent discussion, have been tackled. Many of these questions have been brilliantly addressed anew by the authors who have contributed to this issue, but other, brand-new ones have also been posed and argued for.